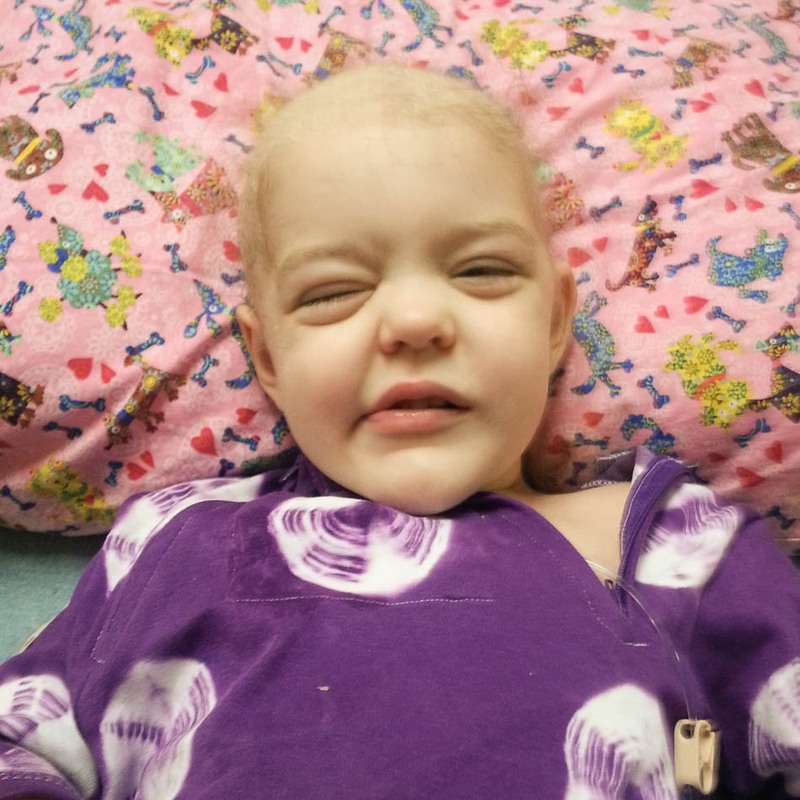 Jocelyn’s parents noticed it first – a slight flashing or glowing when their daughter moved her right eye. They did not know what to make of it. 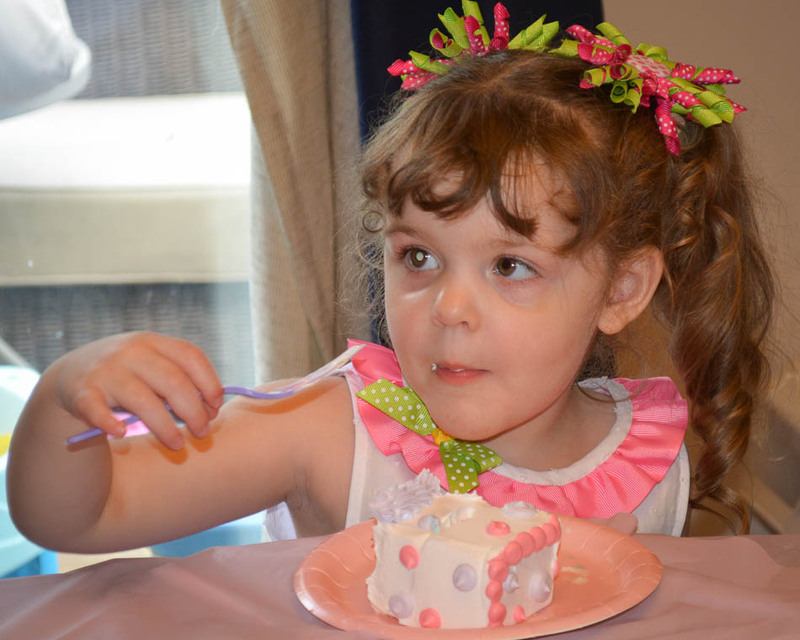 Then this photograph, taken at Jocelyn’s third birthday party, captured it. A trip to the pediatrician turned into a trip to the ophthalmologist which turned into a trip to an ophthalmology specialist. 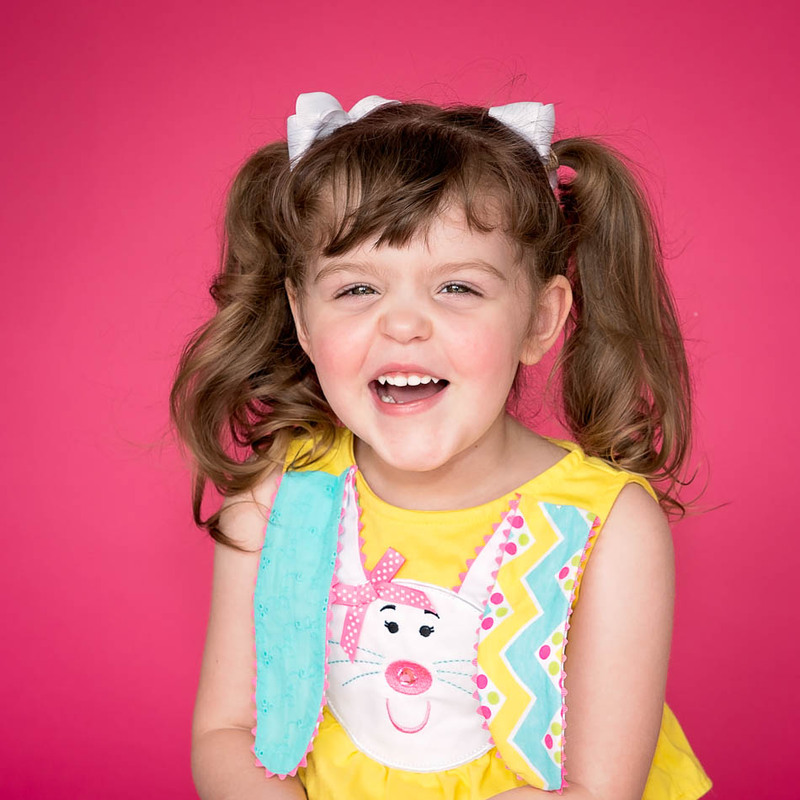 By the time the doctors told Jocelyn’s parents what the problem was, they had done research and figured it out themselves: retinoblastoma, cancer of the retina. Jocelyn’s happy little world turned upside down. And this normally bubbly little girl has not had much to be bubbly about lately. Chemotherapy has made her feel sick, AND – perhaps even more distressing to her – caused her beautiful brown curly hair to fall out. She has had to endure difficult procedures on her eye, including laser therapy and cryotherapy. Then, to make matters worse, Jocelyn woke up from a surgery and her parents were not there (they had not yet been called back to the recovery room), and she got hysterical. Since then, she’s been terrified of being left alone and scared to go to the hospital. And really, who could blame her? It’s all been a lot for a three-year-old to handle. So if ever a kid needed some cheering up, it was Jocelyn! And our wonderful Team Summer kid Kailyn was just the one to do it! 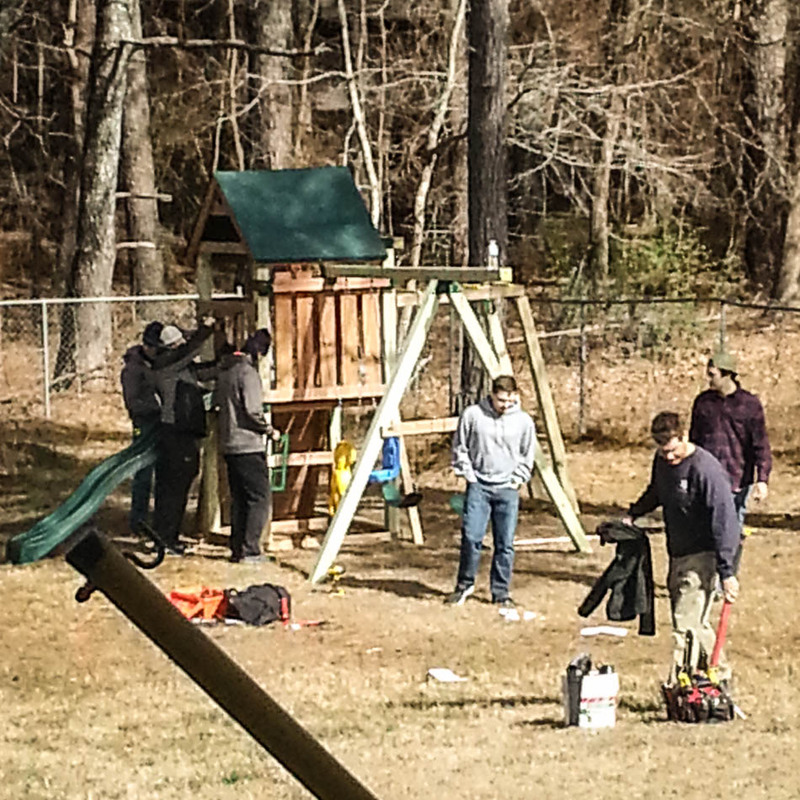 With the help of an amazing team of volunteers, we built a super awesome swing set in Jocelyn’s back yard! And Jocelyn never knew it was happening! Her parents kept her in a different part of the house and made sure she did not look out back. 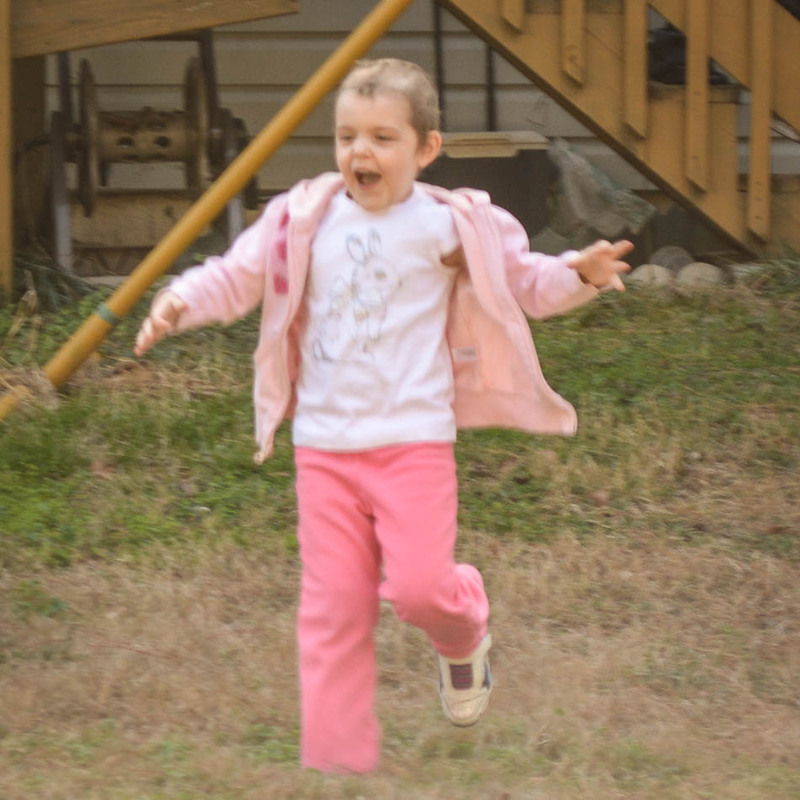 Here is Jocelyn’s reaction the first time she saw her swing set. Believe us, it was a moment hard to capture because she was pretty much a pink blur! 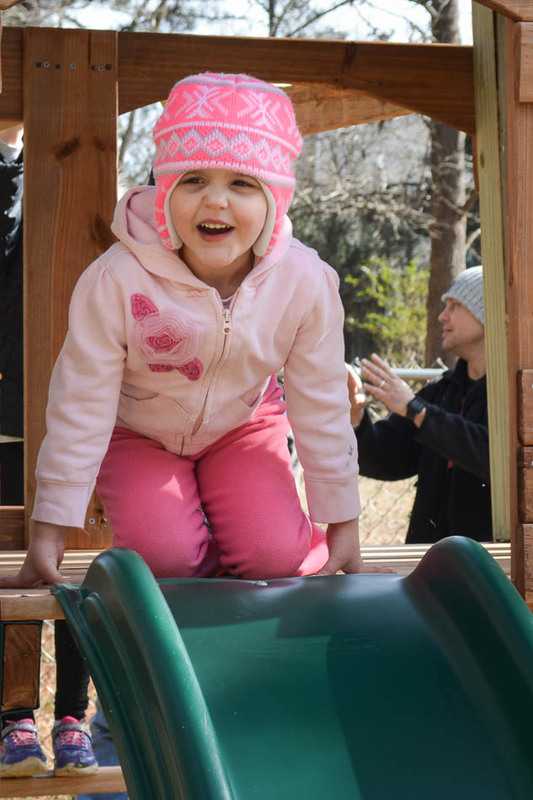 And just like that, Jocelyn was bubbly once again…playing the way a little girl should! Good job, Kailyn! 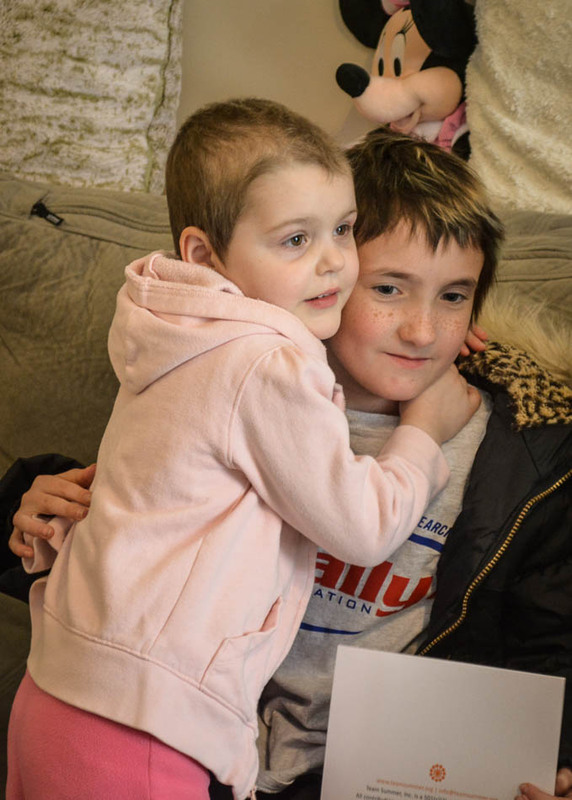 Can you help us help kids with cancer? Please donate today!